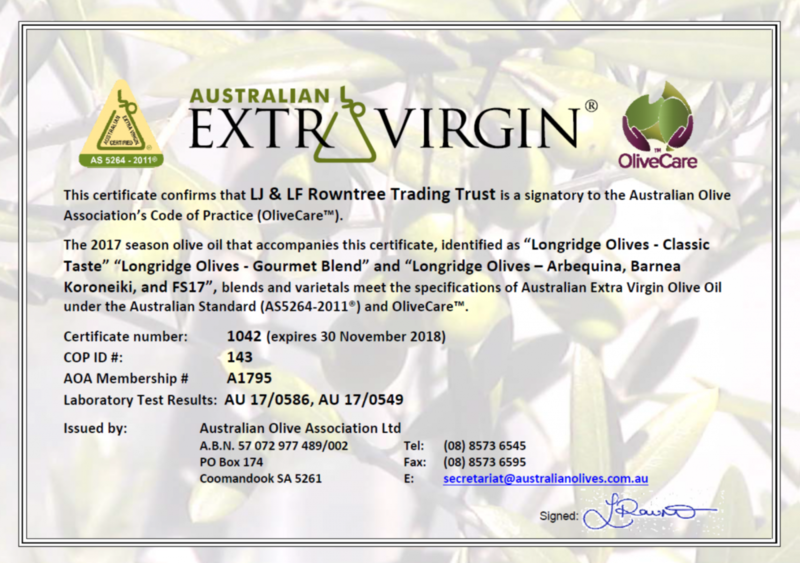 Colonial Olive Trees in S.A.
Longridge has been a signatory to the Australian Olive Industry Code of Practice since its inception in 2008. The Code of Practice supports quality, authenticity and confidence in the Australian Olive Industry and its producers. 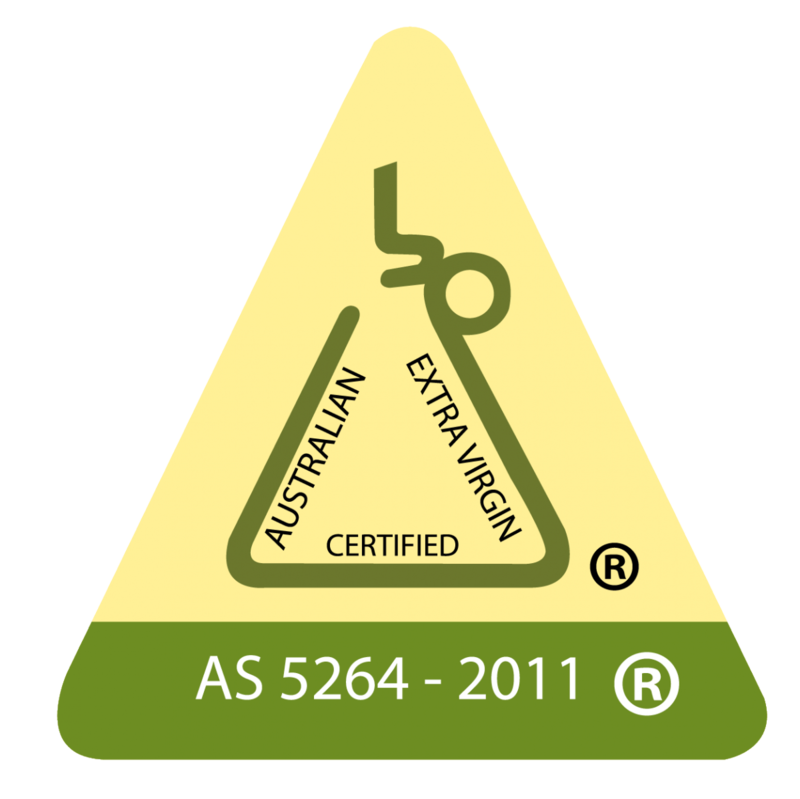 The Australian Standard for Olive Oil and Olive Pomace Oils (AS5264-2011) which was introduced by Standards Australia in July 2011). International rules and codes with similar aims, such as those of the American Oil Chemists Society (AOCS), International Standards Organisation (ISO), International Codex Alimentarius Commission (Codex). The Code of Practice is managed by Australian Food Integrity Certification Services Pty Ltd on behalf of the Australian Olive Association. Copyright 2016 - LJ & LF Rowntree T/a Longridge Olives.